They not only invaded our home, took over our space, and evicted us—they even arrested me and took me to the Maskubya—the police station. I was put in room number four, alone, for a long time. Then, a big and tall man, a police officer, entered the interrogation room. I was alone, and started shivering from fear as he closed the door, started moving things around in the room and examining me from head to toe. I was terrorized, and my heart was beating so fast. His eyes penetrated my body, as he was opening the drawers looking for something. Then, he left the room and came back five minutes later holding a box. He pulled out a pair of blue plastic gloves, and put one on each of his hands, while looking at me and saying “…Come here…” I must tell you that I was terrorized when they invaded the house and evicted us. I was extremely anxious when they arrested my son. But my fears of ‘you know what’…You know…being abused…being raped by his blue big hands and more…were the most terrifying moments of my life. This interview was carried out by http://www.alasbarricadas.org on 3rd September 2014. The English translation has been edited for readability by Anarkismo.net. We are fine but like many of you extremely concerned about the current situation in Iraq in general and the Iraqi part of Kurdistan in particular. We are very active in the social media with respect to writing, making comments and discussing the current crisis that exists with different people and groups. 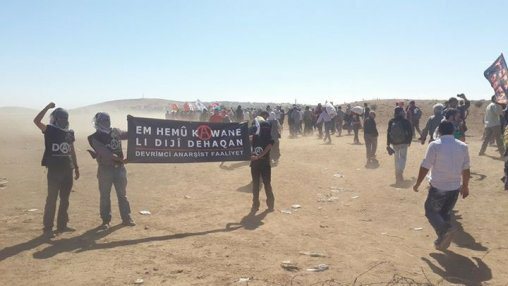 The city of Kobane has been under attack by Daesh (ISIS) fascists for a number of days leading to a mass exodus of Kurds from the city. 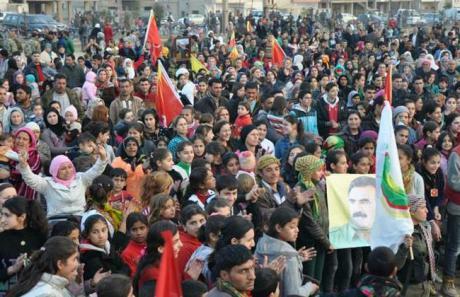 But many Kurds are now returning to fight and defend the city despite being pushed back at the border by Turkish forces. 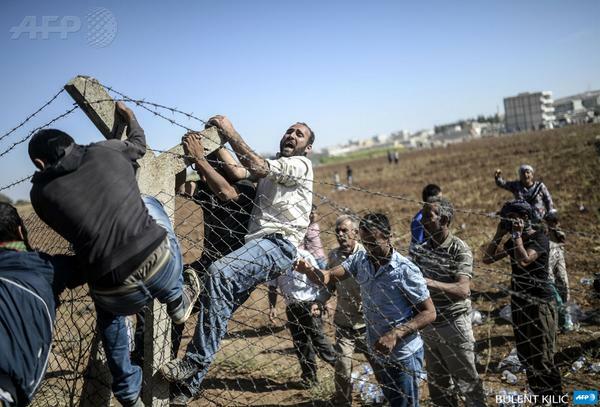 Inside the border, Kurdish forces along with the Free Syrian Army continue to fight against Daesh. No to US airstrikes on Syria and Iraq! 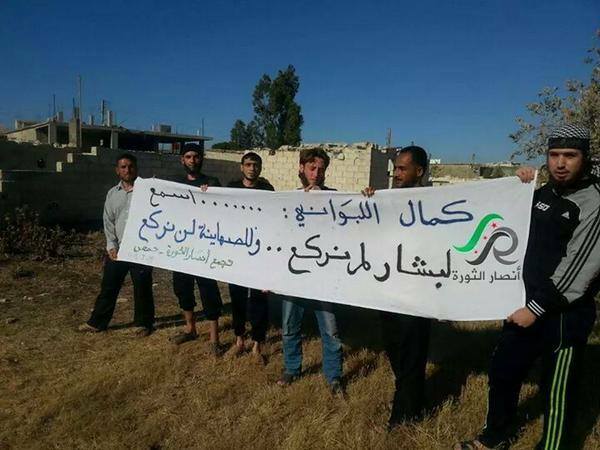 All support to popular movements in Syria and Iraq! As the US once more beats the drums for its “war on terror” we affirm our opposition to US/coalition airstrikes on Syria and Iraq. Such imperialist intervention will only lead to propping up the sectarian occupation regime in Iraq and the genocidal Assad regime in Syria. It will further pave the way for expanding US economic and strategic interests in the region (namely exploiting resources and supporting the Zionist State). وعمل النظام منذ بداية الثورة السورية على وأد أهدافها التحررية من خلال الترويج لنفسه كنظام يدعم المقاومة ضد الاحتلال ومن خلال الترويج للتطرف وزرع بذوره في صفوف المناهضين لحكمه الاستبدادي الإجرامي حتى صار من السهل العثور على الكثير من أشباهه في أطياف المعارضة السورية. كانت الحركات الأصولية أول نجاحات النظام في تشويه أهداف الثورة السورية وها نحن اليوم بعد ثلاثة أعوام ونصف من مذبحة الأسد المستمرة ضد الشعب السوري نواجه شكلًا آخر للانحراف عن أهداف الثورة الرئيسية من خلال ممارسات بعض المعارضين السوريين الذين يحاولون التحالف مع الاحتلال الإسرائيلي بحجة مواجهة المقتلة الأسدية، واستبدال نظام حكم قاتل بتحالف مع الاحتلال القاتل. إن المشروع الذي يروج له ويمارسه المعارض السوري كمال اللبواني والمتحالفون معه إذ يُغلف بمحاولة التخلص من نظام الأسد الديكتاتوري فإنه يحمل في عمقه انحرافًا كاملًا عن أهداف الثورة السورية، وتفريطاً مجانيّاً بحقوق الشعبين السوري والفلسطيني الذين يناضلان للخلاص من حكم القمع والاحتلال، ولا يصب إلّا في خانة تجميل صورة الاحتلال الإسرائيلي قاتل الأطفال في غزة وكامل الأراضي الفلسطينية وشبيه النظام الأسدي قاتل الأطفال في سوريا. إننا نؤمن أن لا كرامة ولا حرية ولا عدل في التحالف مع إسرائيل التي تحتل الجولان السوري منذ 47 عامًا بعد أن هجّرت غالبية سكانه وهدمت قراه وبيوته، وتحتل فلسطين منذ 66 عامّا في مجزرة مستمرة من القتل والتهجير وهدم البيوت. كما ونستنكر المحاولات الرامية إلى تبرير التحالف مع إسرائيل تحت شعار “لا صوت يعلو فوق صوت المعركة”، وهو الشعار نفسه الذي استخدمه النظام طيلة عقود من أجل قمع السوريين وثنيهم عن المطالبة بحقوقهم. ومثلما نرفض استمرار حكم الأسد لسوريا بكل ما يحمله من إرهاب في دموية مفرطة وإبادة لمقومات الحياة الكريمة، فإننا نرفض الممارسات الإرهابية الشبيهة التي تُمارسها الحركات الأصولية ونرفض أن يكون البديل هو الاحتلال الإسرائيلي المؤسس الأول للإرهاب في شرق المتوسط، فالحرية والعدل والكرامة لا تتجزأ ولا يمكننا السعي إليها في سوريا وإنكارها عن فلسطين، الثورة ليست استبدال مجرم بمجرم آخر ولا استبدال حكم الاستبداد بالاحتلال إنما ثورة حرية وعدل وكرامة. 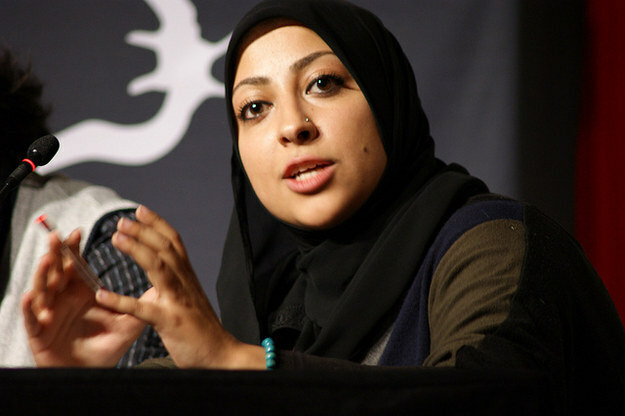 Bahraini activist Maryam al-Khawaja has launched a hunger strike — two weeks after Bahraini police imprisoned the prominent human rights defender when she landed in the country to try to visit her father, also in jail and on a hunger strike at the time. 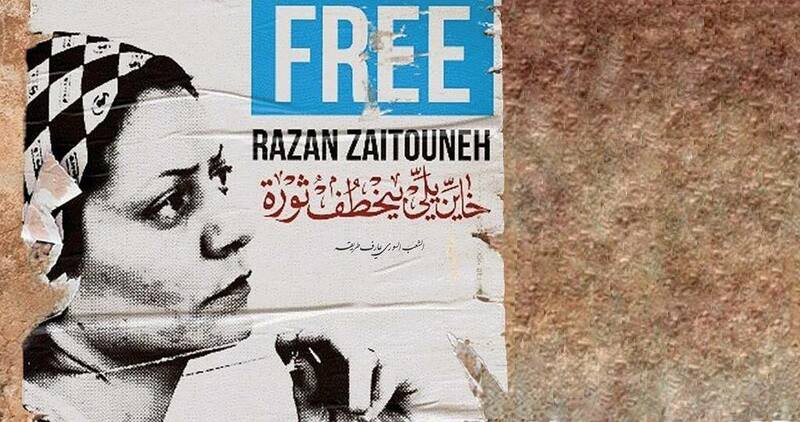 SYRIA: Who’s Afraid of Razan Zaitouneh?